The view on January 10 is all about whales. From November through April, Humpback Whales frolick in the waters off the Big Island. They come to the warm waters to birth their babies. 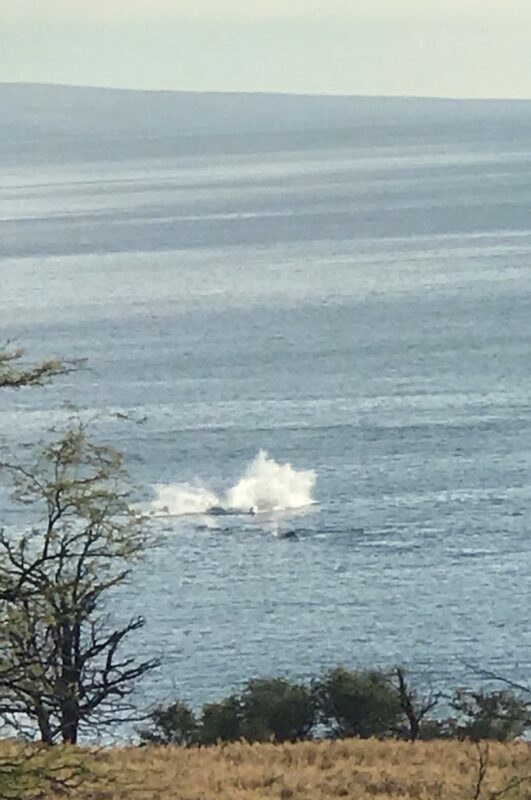 Going out on one of the whale watching tours to see them close up is certainly an option, however, the whales can usually be seen from the North Kohala roads and other places on the Big Island’s west coast. This trip is no exception. We were treated to quite a show. As we drove south from Hawi towards Waikoloa, we saw about 6 cars pulled over and people taking pictures. I’ve learned to be safe and not try to see the whales while driving. 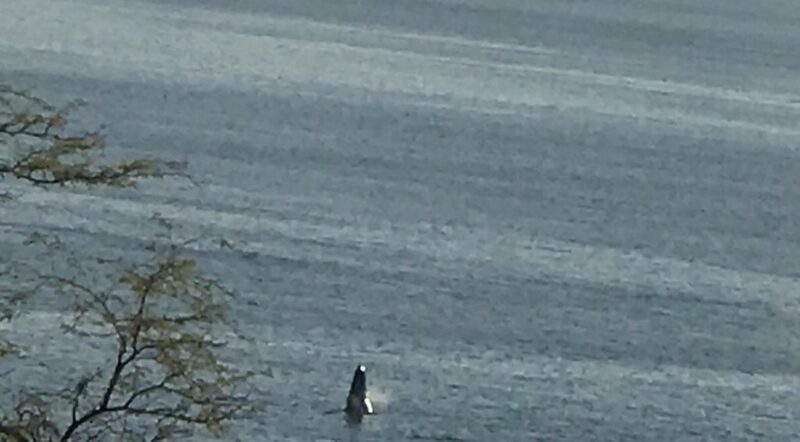 Once we pull over, I see at least two whales, maybe more. They were not too far out and I was able to capture the evidence with the camera on my phone! This is one of my favorite activities when we come here….be patient and let Nature show off!! !